This post may seem silly. But it's not just about keeping wrinkles at bay or not getting a face full of sun spots. It's about CANCER. Take it seriously because we are the people who spend the a LOT of time outside in harsh conditions- usually in the sun. Take care of your skin!! When I was younger I used sunscreen but I wouldn't panic if I forgot it for a day or even a trip. I would think SPF 20 in my face moisturizer was good enough. Now I am borderline obsessive about taking care of my skin because I have seen the affects of the outdoors all over my face, literally. I have a bunch of sunspots, including this big ole friend on my cheek and consistent red nose and cheeks due to extreme conditions (more on that later). Casting side eye at sun damage. Now that spot isn't that big of deal, kind of cute even, like a birthmark. Except that I wasn't born with that sucker so that means my skin is mutating due to damage. NO BUENO. So the obvious first step of taking care of your skin while doing the things is to wear SPF. I really like this sunscreen for my face because it has the highest SPF rating (which probably doesn't help any more than a 50) and also has skincare ingredients that will hopefully help skin recover from harsh conditions like wind/snow/dryness etc. Any high SPF sunscreen for your body is good- I try for one that hydrates and has around 50 SPF like this one. 2) Protect your skin with clothes. Unless it's just super super hot, wear a long sleeve shirt! 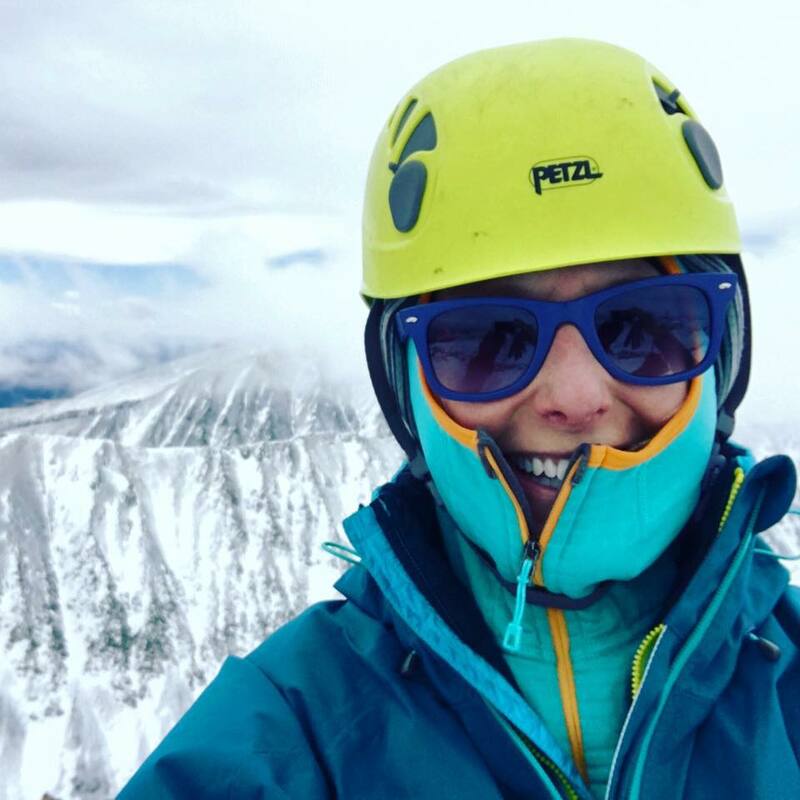 When you are in cold and windy conditions, never go out without something to protect the delicate skin on your face like a buff or a layer that comes over your face like my favorite baselayer or the R1. I have found that when I am in cold and windy conditions, especially at altitude, the little blood vessels in my nose and high cheeks will break and my skin will be extremely red. 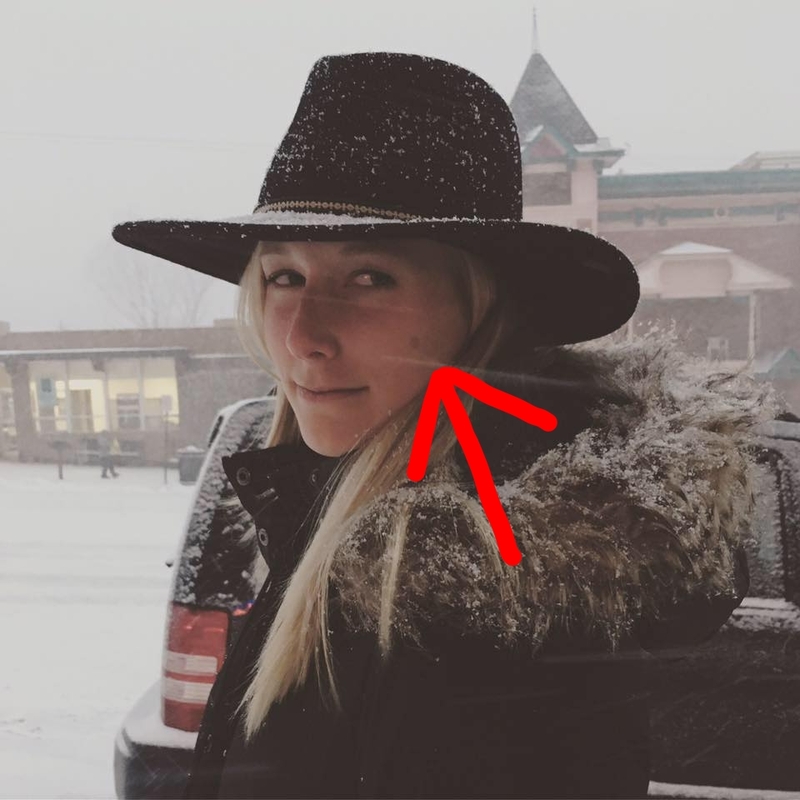 My nose is pretty consistently red no matter what the season because of how hard extreme conditions and altitude changes are on my sensitive skin. I have yet to find a complete solution to that but these steps definitely have helped. 3) Clean your face every night, yes even when backpacking. Especially when backpacking. Your skin needs to breathe! All those layers of sunscreen and dirt make for unhappy skin if you don't get it off at night. Pack some face wipes in a plastic sandwich baggie and use one (or a half) each night and in the morning if you think you need it. 4) Slap on some coconut oil after cleaning your face. Now when you are out camping, I am not telling you to bring your 6 step skin care routine (you have one of those... right?). I am saying that putting some coconut oil on your face before you fall asleep will make your skin feel so so much better. Coconut oil has vitamin E in it which is great for repairing your skin, especially after sun exposure. Even at home, if you get sunburned anywhere, coconut oil will rapidly speed recovery (and feels great). When I was travelling for 2 months in Peru an Chile, I put my suncreen moisturizer on in the morning and coconut oil on at night after washing my face. Pretty simple but my skin did great the whole trip despite a ton of time spent on planes (which usually makes me break out). I love that coconut oil has antibacterial properties and I think that helps control break-outs. My skin isn't as beautiful as a baby lambs, but is looking pretty darn good for 2 months out of a backpack on hostel pillows and in crazy Chilean wind.